In preparation for the arrival of the all-new 2010 Evora into the US market during the first quarter of 2010, two Evoras are set to begin a 44 dealer Open House Tour. Following are the Evora’s US market product content, option packages, pricing details and the full Open House Tour schedule. 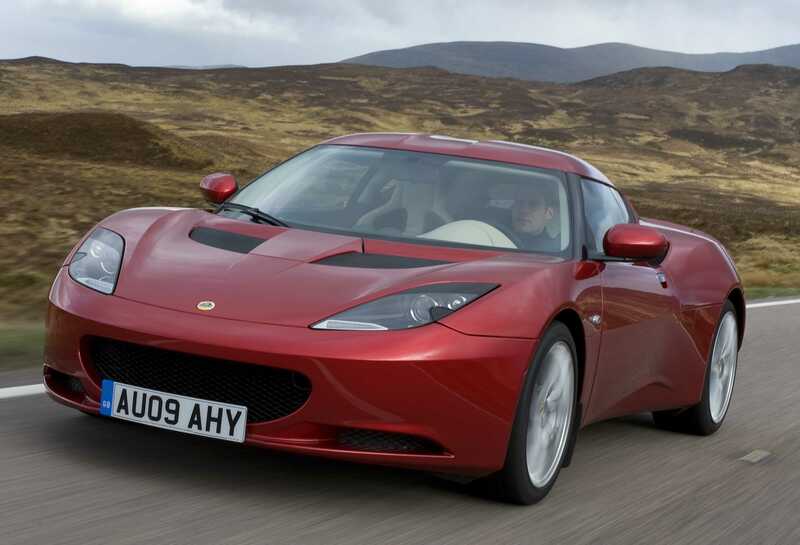 While Evora production for the UK and European markets has been ramping up for months to begin fulfilling their orders, production for the US and Canadian markets has yet to begin. 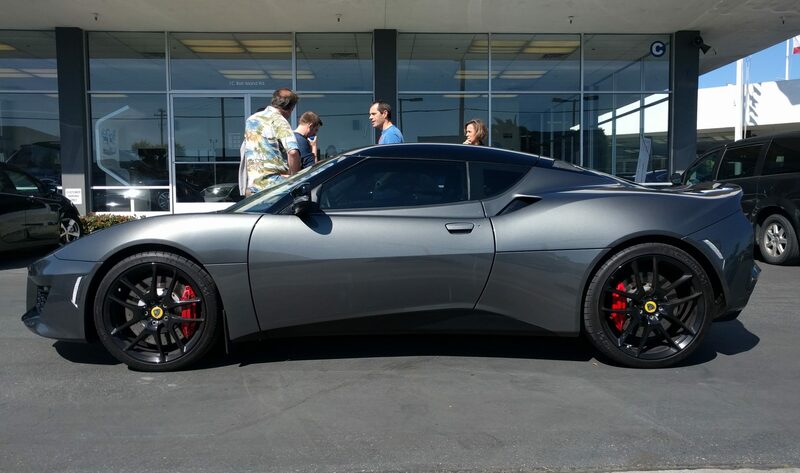 Though the Evora has only been shown on a few occasions thus far in the US and Canada, approximately the first two months of production are already pre-sold. To enable more sports car aficionados an opportunity to see the Evora in person, starting Friday, November 13 two Evoras will embark on a 44 dealer Open House Tour of the US. The Lotus Evora will enter the sports car market as the only mid-engine 2+2 in production. Evora is designed for people who desire the exotic sports car characteristics of stunning design, exclusivity, dramatic proportions and performance. However, it offers real-world usability, surprising efficiency and a unique sense of occasion as well. Powered by a 3.5-liter V-6 producing 276 hp at 6,400 rpm and 258 lb./ft. of torque at 4,700 rpm, the Evora employs innovative lightweight chassis technology to ensure all-around exceptional dynamic performance, in keeping with the great Lotus tradition. 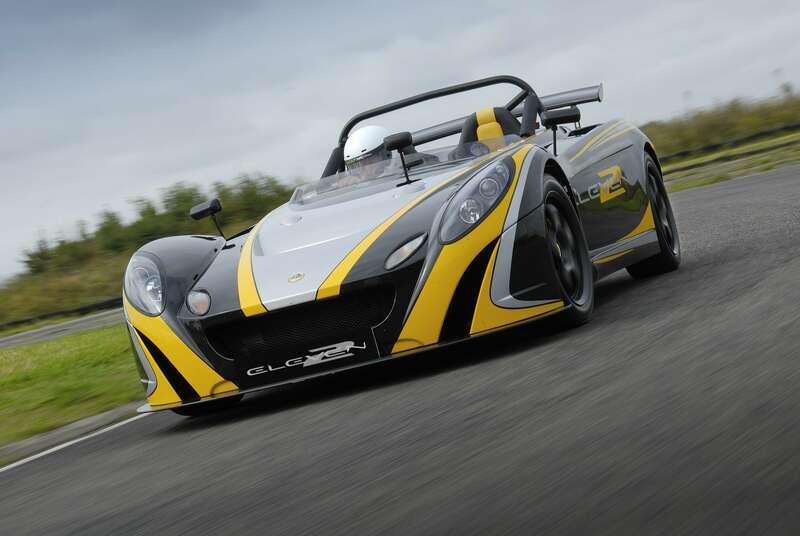 From its beginning over 60 years ago, Lotus’ consistent guiding principle has been to achieve ‘performance through lightweight’ and that’s always meant all facets of performance including efficiency. The Evora provides unassailable proof of this ethos as the only regular production car in the world capable of accelerating from 0 – 60 mph in under 5 seconds (4.9), on up to a top speed over 160 mph (162) while also delivering 30+ miles per gallon on the highway. Inside the Evora simplicity meets sophistication in an exquisite combination of detailing and hand-built craftsmanship. By using only the finest leather from renowned experts Muirhead, the interior is hand-trimmed and twin-stitched to create a beautifully tactile and visually striking environment. Genuine aluminum instrument and center console surfaces contain ergonomically positioned controls providing a purposeful drivers’ cockpit. The leather wrapped steering wheel is tilt and telescopically adjustable, flat-bottomed to ease entry and exit and made from ultra-lightweight magnesium to provide super-precise feel through the wheel. The adjustable Recaro seats cradle the occupants and, along with the perfectly placed aluminum pedals, complete the optimum connection between driver – Evora – and the road. The rear seat area is cleverly hidden within the exotic, mid-engine profile of the Evora. An Alpine audio system with available touch-screen navigation, iPod™ (and other MP3 player) connectivity, Bluetooth and other amenities make the journey all the more pleasant. The Evora is a pure sports car that you can happily, comfortably enjoy every day. For peace of mind, the 2010 Lotus Evora has a 3-year/36,000-mile limited vehicle warranty with an 8-year chassis perforation warranty. The Lotus Evora takes the title of ‘EVO Car of the Year 2009’, with the Lotus 2-Eleven winning the prestigious ‘EVO Track Car of the Year 2009’ competition. A charity A-B gimmick rallye on Saturday, Dec 5, 2009. Presented by the Golden Gate Lotus Club & The Rallye Club. Start is at Larry’s AutoWorks at 2526 Leghorn St, Mt View CA just off San Antonio Rd. A gimmick rallye is not a race. A gimmick rallye is a fun puzzle that tests your ability to follow instructions along a predetermined road course. No experience is necessary. 1st-time rallyiest are encouraged and will receive extra help. Entry Donation per car: One new unwrapped toy (worth at least $15) or $25. Bring: one or more friends, pens/penscils, paper, a clipboard and any type of car. Awards in six classes – 1st-timer, Beginner, Novice, Senior, Expert and Master Expert.